Goat Milk Soap from Little Nicklebush Farms! I recently received a beautiful bar of goat milk soap from Janolyn of Little Nicklebush Farms and the blog, Rebuilding Traditions for Sustainable Living. They have goats and make wonderful goat milk soap. I love goat milk soap and Janolyn offered to send a bar along for me to try out…sweet deal! Thank you, Janolyn! I opened the bar of soap this morning and really liked the clean, unscented creaminess of the lather. The coconut oil left my hands feeling clean and moisturized without any hint of greasiness. I can tell that this soap will be a favorite around our household. Nicklebush Farms plans to sell soaps soon and will be adding some scented varieties. I hope you’ll stop by Janolyn’s blog and sign up for updates on their soap making business! Do you like goat milk soap? Have you ever made your own soaps? Hello Lisa Lynn. Thank you for the glowing review. 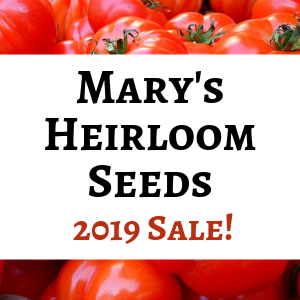 I have several varieties that will be ready to sell after June 1st. And I am open to suggestions if anyone has a favorite scent. My boyfriend really liked your site. Read a few pages and loved the large contingent of followers that actually comment. Something that I have liked too. Keep up the good work. That’s very cool! I always enjoy hearing about other homeschooling families and how the kids get involved 🙂 Thanks for sharing, Ruth!